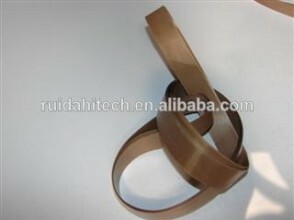 2, Super non-sticky character, high temperature resistance. 1. With the seamless feature, it can be used longer than the joint one. 2. Heat resistance property---It is able to work stably between -60° C to 260° C.
Applications: It is widely used in small packing machines for plastic bags. If you have any special requirement, please contact the research department.